The Royal Scots Club is situated in one of Edinburgh's finest Georgian streets, Abercromby Place, offering country house charm and the very best in facilities and service. Our location is ideal for a leisure stay in Edinburgh to take in the local art galleries and antique shops of the New Town and walking distance to many of Edinburgh's local amenities and attractions. Edinburgh has one of the most beautiful cityscapes in the world, making it the ideal city break destination. With Edinburgh Castle dominating the city skyline, there is plenty to see and do with the perfect balance between all things traditional and contemporary. Discover world-class museums and galleries, take a tour on an open-top bus, dining in top-class restaurants and bars, not to mention fabulous shopping you are spoilt for choice. 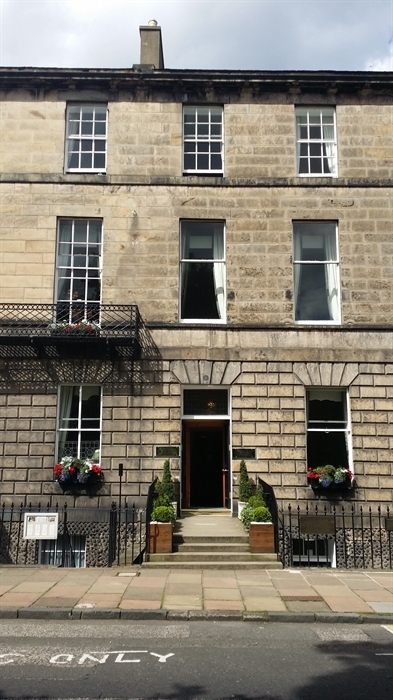 Right in the heart of it all, The Royal Scots Club offers courtesy, personal service and warm hospitality. The fabric of the building is architecturally stimulating and exudes a charm and ambiance which is relaxed and comfortable for our guests. Guests relax in one of our 25 bedrooms each individually designed and traditionally furnished, with comfort and attention to detail being second to none. All rooms whether standard, superior, king size and four poster offer modern facilities, some with scenic views over the rooftops to Fife or to Queen Street Gardens. All our bedrooms have private en suite facilities with luxury toiletries, hospitality trays, televisions and complimentary wireless connectivity.